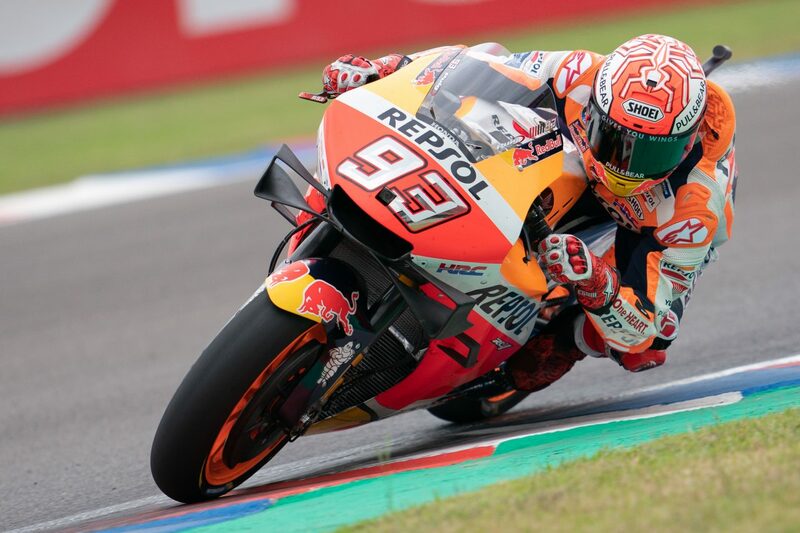 Qualifying for Round 2 of the MotoGP championship was held earlier today in Argentina with Marc Marquez (Honda) earning pole position for tomorrow’s race. Second on the grid tomorrow will be Yamaha’s Maverick Viñales, while the winner of Round 1, Ducati’s Andrea Dovizioso, will line-up in third. Dorna cares about how the bikes look but I don’t think the teams do. They just want the lowest numbers on the time sheets. There’s a lot of aerodynamic opportunity on motorcycles. It’ll be interesting to see where this goes. For all the talk last round of Yamaha being off the pace, there sure are a lot of them in the front half of the grid here. Yamaha can make a good race at several tracks. But if their package were where it should be, they’d be a threat for the top step at most venues. Last year, they were barely even a threat to the podium for half the races. They do look better this year, but it is hard to say for sure since there are some relatively good tracks for Yamaha during the first several races of the season. I’m optimistic that they are making progress, but I still think they need more power if they expect to be exchanging blows with Honda and Ducati in last laps of most races. Same goes for Suzuki. Two superb technical bikes that watch the fruits of their labor get tossed to the trash bin as soon as they arrive at a long straight. Holy smokes qualifying was fast and furious and close. THe top 5 are within 2 1/2 tenths of a second. If it doesn’t rain it should be an awesome race.